Universal support: Help to claim is our big new project for 2019. 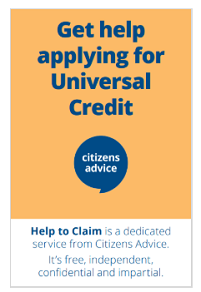 Along with local Citizens Advice all over the country, we can now help anyone claiming universal credit for the first time. CARBS Help to claim team (from left): Kate, Juliet, Training Manager Helen and Khensu at Redhill last week. We’ve appointed a team of advisers with deep experience of supporting people in unfamiliar situations. Contact Kate, Juliet and Khensu at Redhill or Banstead or outreach at Horley or Tadworth. Or call Freephone 0800 144 8 444. The team can help all the way from completing the application to receiving first payment. Find out more about Help to claim.